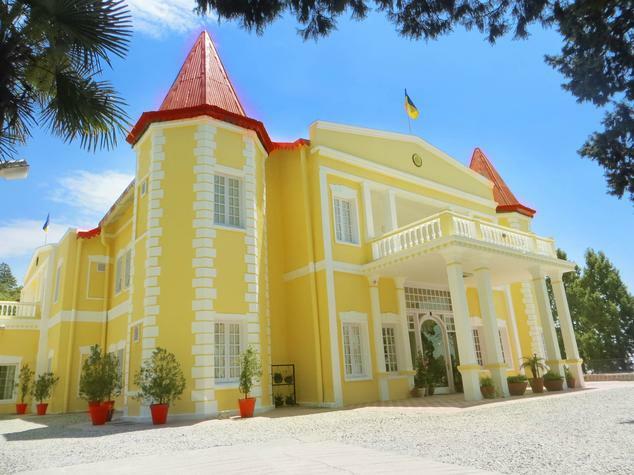 Located at a distance of 6 km from Christ Church and Library Bus Stand, Kasmanda Palace is the address for travelers who are in Mussoorie for vacationing. 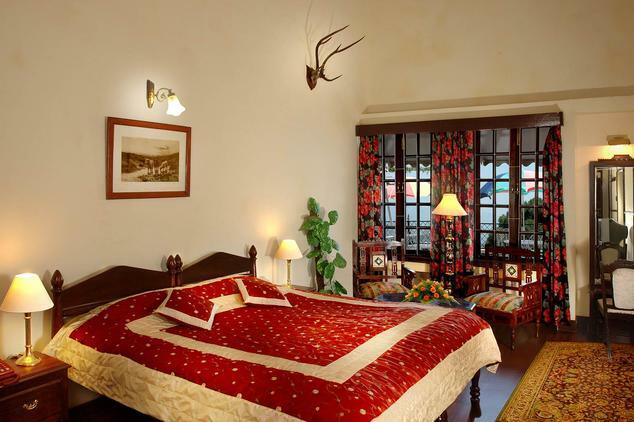 Built in 1836, it has been converted into Heritage hotel catering to the diverse needs of travelers. 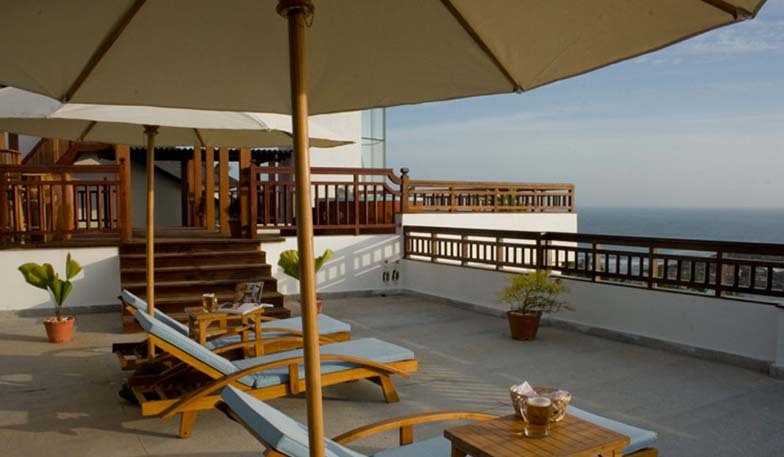 The hotel offers panoramic view of Doon Valley and Mussoorie. It is a three star property spread across the area of three acres of green lawns, pins forest and terraced lawns. 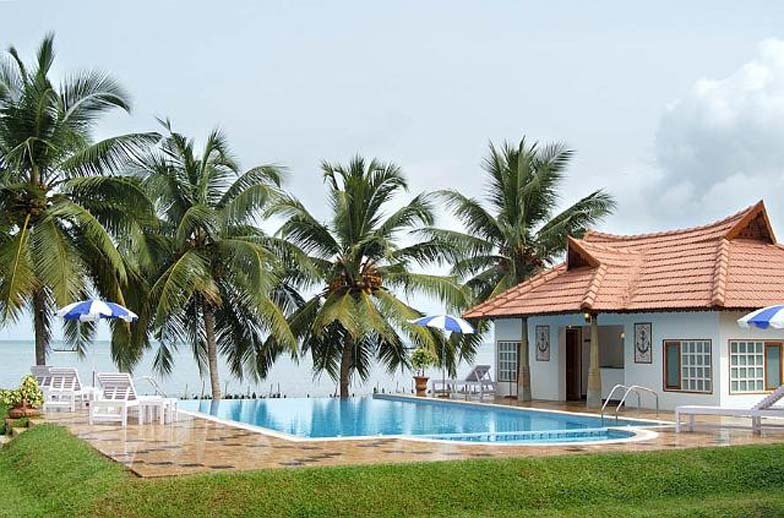 Staying here is a treat for it proffers everything that visitor’s look for a memorable vacation. The hotel offers 23 well designed and decorated rooms equipped with contemporary facilities rendering touch of old world charm. There are six Deluxe Rooms that are designed for the comfort of modern day visitors. Each room is unique and well-designed offering guests a range of comfortable features that can make your holidaying experience memorable. Facilities that you can get to enjoy when staying here are laundry service, doctor on call, and access to internet connection in some parts, tea or coffee maker, television with cable channels and a mini bar. Superior rooms are relatively more spacious and comfortable allowing you to have comfortable stay here. There are ten rooms under this category and each is well decorated and placed with stylish furniture. After spending tiring day exploring the place, unwind in the cocoon of comfort. Facilities that you can get to enjoy staying here television with cable channels, coffee or tea maker, laundry service, a mini bar and access to high speed internet. There are ten rooms in this category and each room is the ultimate example of comfort and luxury that travelers look for. Each room features elegant and trendy furniture and when coupled with all modern facilities, you can have great time here. Facilities that are accessible when staying in Royal room are tea or coffee maker, accessibility to high speed internet, a mini bar, doctor on call, running water supply and credit card payment mode. Overlooking the landscaped gardens, from here you can get the spectacular view of Magnolia Trees while digging into some of the most delicious dishes. Here, you can get to enjoy a range of Chinese, Indian and Tandoori dishes. In addition, restaurant also serves a range of regional dishes. You can also dig into Rajasthani cuisine upon request. 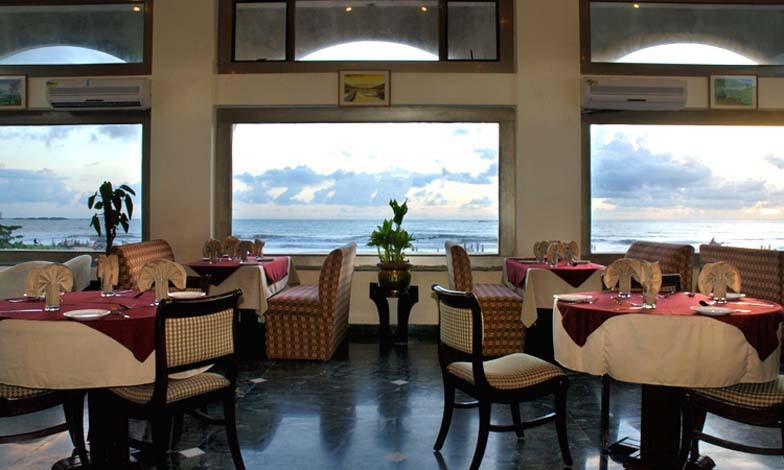 This is the place where you can satiate your tangling buds with Regional, Continental, Indian and Chinese Cuisines. 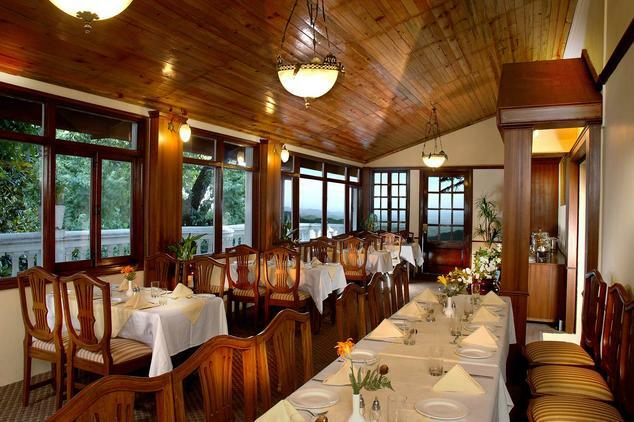 The ambience and well done interiors of the restaurant lets enjoy meal in a way like never before.